The memories of war and messages expressed through dance. 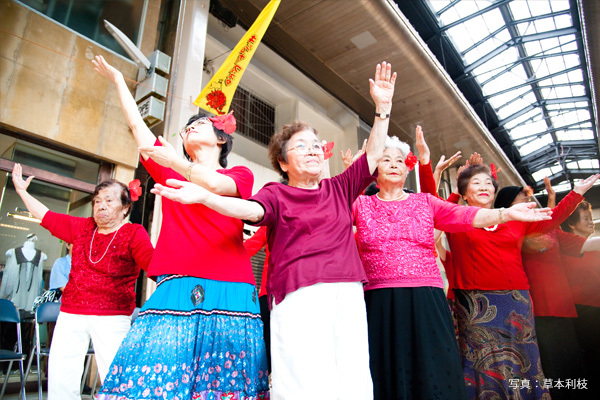 This performance is about the elderly ladies born and raised in Okinawa who experienced the Battle of Okinawa in their childhood. 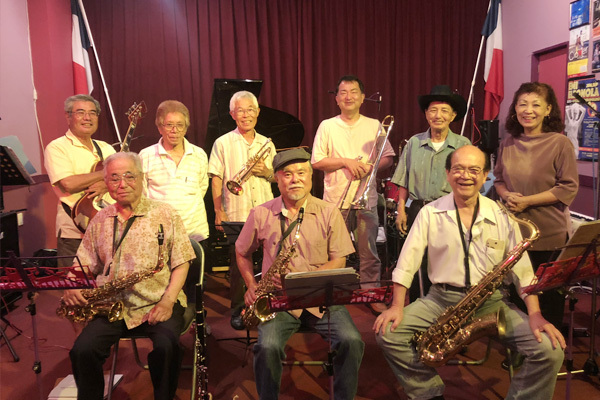 It also features a big band of elderly gentlemen who used to perform in the dance halls of Koza (Okinawa City) where authentic jazz music was played for American soldiers during the 1950’s. Broken Words Fly Into the Sky is a re-creation of these dance performance, also produced in collaboration with more recent performers. 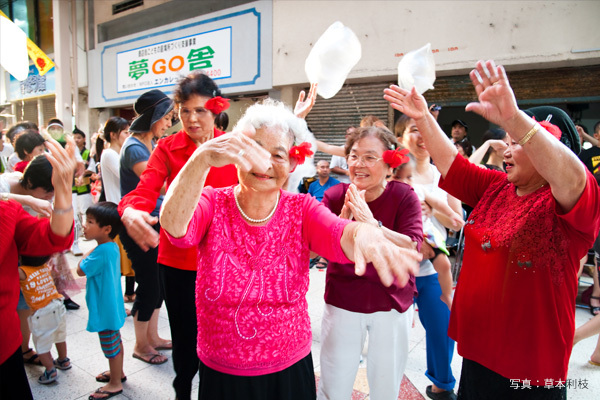 Elderly ladies dance to express their experiences of the Battle of Okinawa, weaving together real voices with the memories which remain. As the number of war survivors decreases, we present this work by performers whose average age is over 80 years old, to share the message - ‘we can dance, because we are alive’.